Confession: I kind of have a blogger crush on Nom Nom Paleo. I’ve been reading the site for years, and while sometimes I’ve been a bit intimidated by some of the recipes (So many steps! I need a pressure cooker! And more time! ), I love, love, love the site. Without a doubt it’s paleo for foodies, and I love scrolling through all of her recipes and adventures. 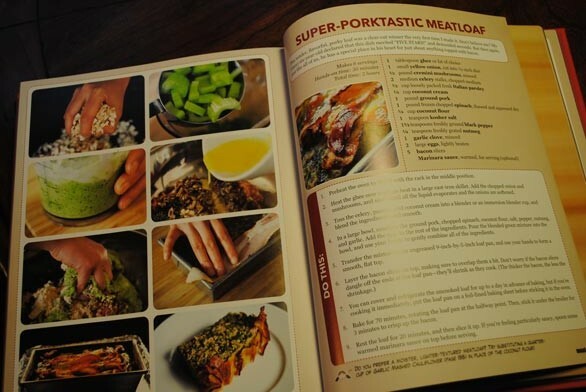 So, obviously, with my foodie blogger crush and all, I had to try the Nom Nom Paleo cookbook when given the opportunity. I mean, how could I resist more than 100 “nomtastic recipes”? I couldn’t. And so I dove in. The cookbook has the same cute cartoons and funny and light tone as the Nom Nom Paleo site. The food photography is gorgeous, and the layout is really fun. If you’re new to paleo, there’s a quick guide on how and why to do it (she hits the main points without getting too far into the caveman weeds, which is nice), plus there are fabulous sections on kitchen tools you need, the fun back-story on Michelle Tam and her husband and kids (kids are darling; husband is ridic ripped — see p. 7), and lots of fab ideas for packing healthy lunches and stocking your kitchen, plus some great going-paleo and cooking tips. While I haven’t had the chance to really dive in and make a ton of recipes, Ryan and I did tackle two. And these two were amazeballs enough for me to give this paleo cookbook a glowing review. Because if the rest of the cookbook is half as good as what we made, oh my goodness, I’m going to have to smack someone. We settled on the Super-Porktastic Meatloaf, which has a) a great name and b) is full of veggies like mushrooms, celery and spinach. 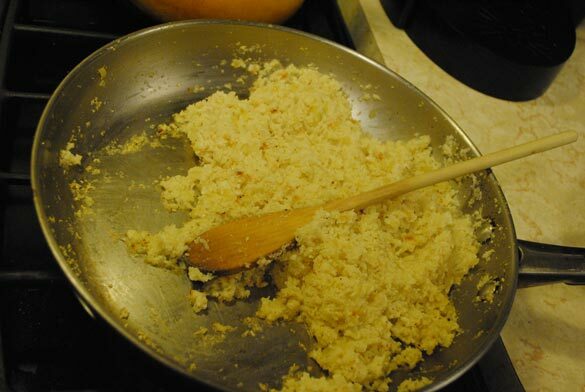 Alongside it, we decided to make Coconut Pineapple “Rice,” where the “rice” is made up of ground cauliflower. Like a lot of Nom Nom Paleo’s other recipes, this wasn’t a super quick meal to make. It wasn’t hard to make by any means, but it did take some time, some chopping and some cooking. But, like I said, Nom Nom Paleo is truly for the foodie who is paleo and really likes to cook. Someone who unwinds in the kitchen. We made these two dishes on a leisurely Sunday afternoon, and it was perfect. And porktastic? 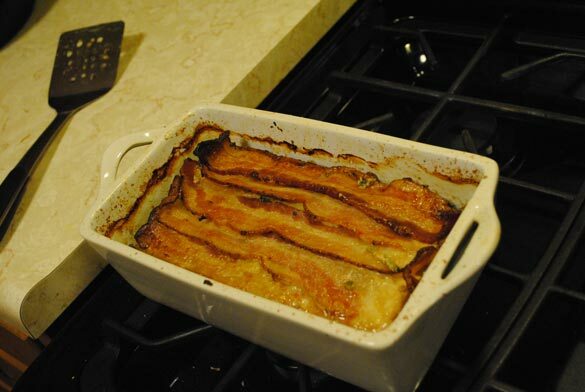 Yeah, bacon on top of meatloaf is not only decadent and delicious, it’s also brilliant. 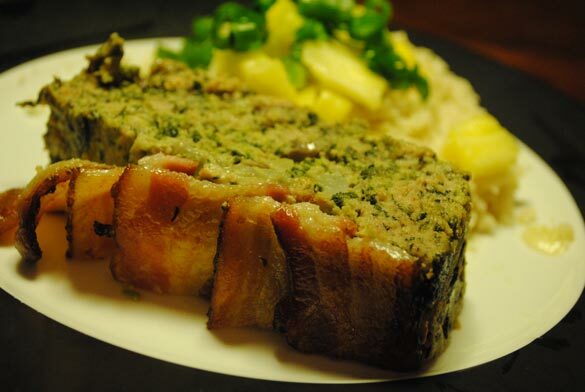 The pieces of bacon really helped keep the meatloaf moist. 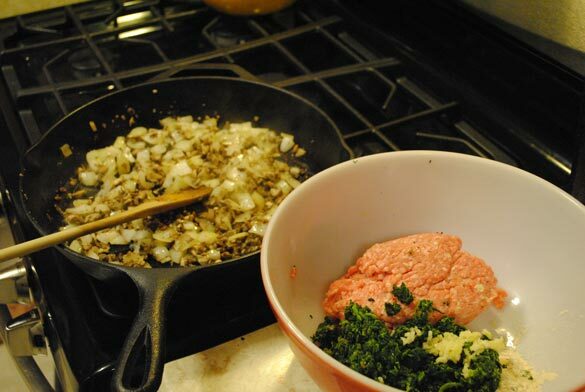 Plus, since the meatloaf was filled with so many veggies (a full pound of spinach!) that also keep it really moist. Seriously probably the best meatloaf I’ve ever had — and no bread crumbs! I can’t believe it’s taken me this long to make cauliflower rice, too. All you do is throw some cauliflower in the food processor and pulse until about the size of rice. Then sautee for a bit, add some seasonings like coconut milk in, cook until the cauliflower is kind of puffed up, then mix with pineapple and green onions. So easy yet SO flavorful. This rice tasted like the tropics. I really enjoy Michelle’s recipes and her style of writing. You must give the “Slow Cooker Kalua Pig”. We have gotten several meals from that roast and every time my husband comments how good it is, and he is right. Enjoy! Judy and Katie — I’ll totally put those recipes on my must-make-next list! 🙂 Thanks!!! I second the slow cooker kalua pig! I think I got my recipe from Nom Nom Paleo, but it is seriously the easiest thing to make. Cover a pork roast in Hawaiian sea salt (or regular sea salt), add a couple of tablespoons of liquid smoke, and set it on low for at least 10 hours (longer if you can). It’s delicious and will last two people for days. Ditto on the Kalua pig, yum!! Also just tried her Spicy Tuna Cakes and they were DELICIOUS! Great for leftovers too as I made a double batch.